Well, OK it was actually yesterday but Kate gave us permission to just do it. Your eyes do not deceive you. The block is only two inches square. In the end, to get this nine patch block assembled, I had to resort to placing my blocks onto newsprint to join each block into rows. The seams were very lumpy and would not go through otherwise. 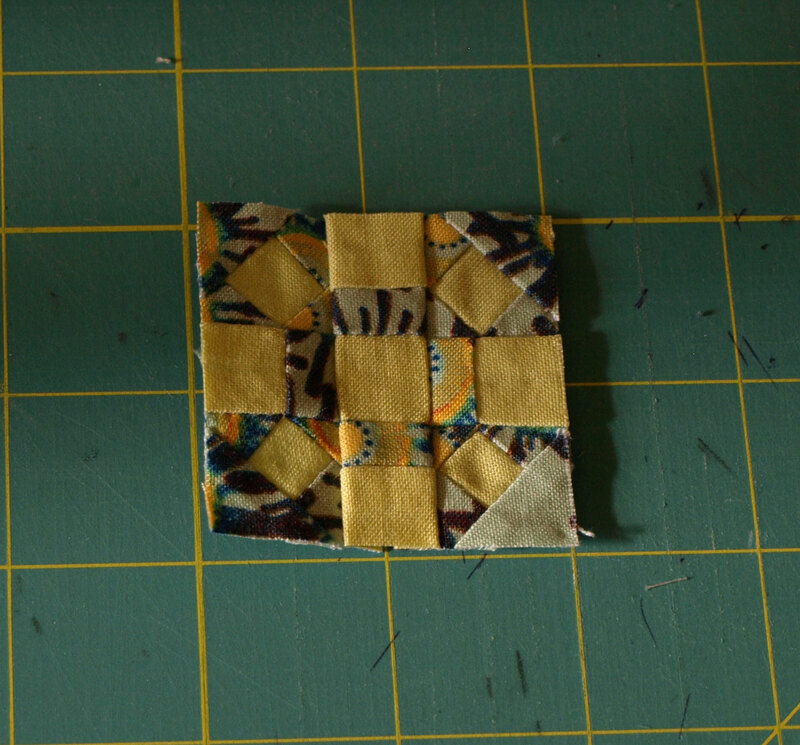 There are four more mini blocks in this free series from Hope’s Quilt Designs. 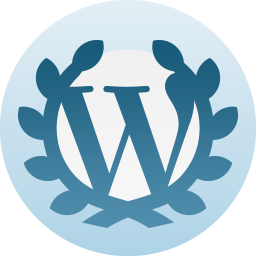 Guess what I will be working on for the next four scrap happy editions? Moira, Sandra, Linda, Chris, and we have a new member joining us this month. Welcome, Nancy! So why have I been so late, you ask? With everything? Because I have been making quilt tops like this one which is not entirely done, but very engaging work for me this month! A two inch square nine patch block!! It’s made me come over all fingers and thumbs just thinking about it. Love the quilt top – an unusual colour scheme but very effective. Thank you, Lynn. I chose the black background because it makes the blocks seem to float and the colors pop! The fabric collection “Wild Field” by Windham Fabrics is a very strange combination of prints and color usage to be sure, but I loved those stallions racing along in the meadow and the floral print, so I had to have it. HA and it took me months to figure out what to do with it and to actually take the first cut. That is a very scrappy piece of awesome tiny-ness. I will not ask why you feel driven to make something so spectacularly mini. The answer is clearly “because!”…. Also, I’m loving the quilt that’s been eating up most of your time, great colour combination! Kate, thank you! I’ll share a secret with you. I got the Susanna block center part done and hated it. BORING then I figured out that I needed some interesting borders and tried something totally new for me. Then it got really fun and I like the overall look of it now. Thank you, Tom. I am really enjoying my time spent working on it. I think I’d go nuts trying to make that tiny block. Of course, I’d probably go nuts trying to do anything associated with quilting. I don’t mind detail work, but I have my limits! I do like that quilt top. I don’t remember seeing many quilts with a black background. Is the choice of black unusual? Thank you, Linda, and yes it is unusual. However, it does awesome things to the color and shapes it surrounds and I like it. It makes the blocks float and the colors pop! Someone out there will like it enough to buy it; I hope. I will, Hope, and thanks! Will there be more? I would certainly enjoy them! Lovely quilt! That is one cute little block. Totally off subject ,I dug up some tiger lily bulbs,if you wish for some send me your address ,and I will be glad to share. Thank you, Deb. I have been having quite a bit of fun this month! BTW, I was certain that you had sent me your email when we first talked about the tiger lilies but now I can’t find it. I’m sorry. Can you please send it to me again via my contact link above? I’m so excited that you are sharing these with me! 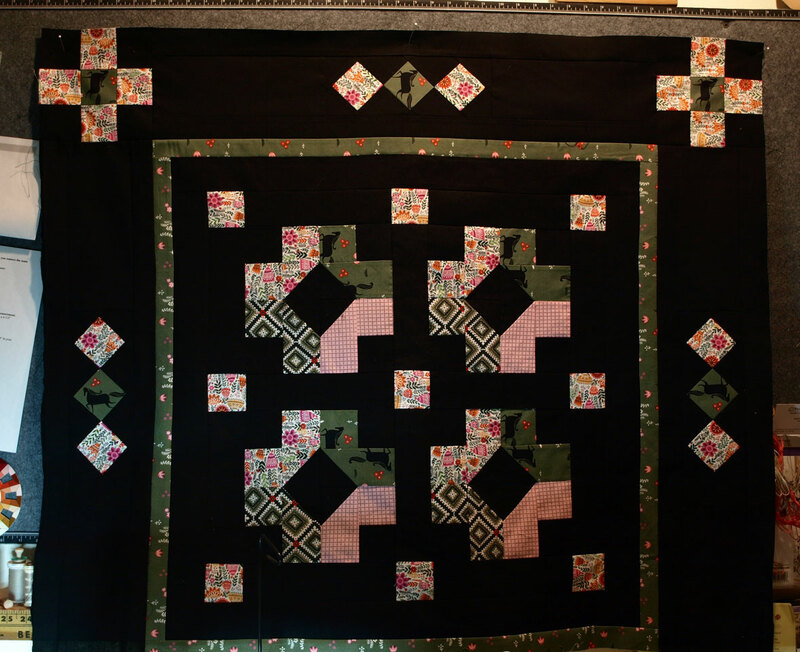 gorgeous quilt and well done on your little scrappy block! SO dramatic Linda, totally love the black! As to that mini block? Well, what can be said other than “congratulations!” on your stick-to-it determination; ). With so much delicate work involved, would each one be done in a shadow box for display?